Akela 2016 kicks off today! Yvette Baker is one of the volunteers behind the scenes. 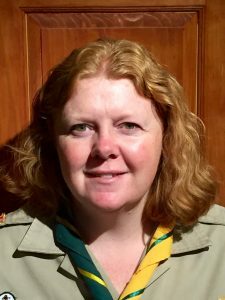 Not only is she the Assistant Pack Scouter of the Protea Ridge Cub Pack but she will be the coordinator for the indoor activity bases at Akela 2016. As an adult I’ve been in the Movement for about 3 years, 1 year as a parent helper and almost 2 as a uniform member. The Akela decided to leave the group and the APS who took over as Akela was left alone to run the Pack by herself. As my daughter absolutely loves Cubs I decided to join as a helper and later I went into uniform. I’m a relative newbie in the Movement but I guess my most meaningful memory was when we did an outing to a children’s home for abused and abandoned children. One of our Cubs came up to me afterwards and said she was glad we had visited the home because it made her realize how lucky she is to have parents who love her, lots of clothes and toys and that she could do fun things like Cubs when there are so many children just like her that had none of that. Cubbing is fun. I also enjoy seeing the Cubs learning new things and achieving something they struggled with. 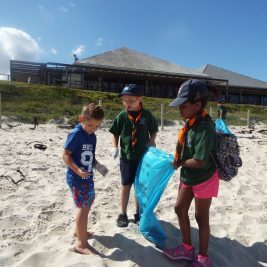 A good Akela/Pack Scouter is someone who sets a good example for the Pack. Someone who maintains discipline, yet is willing to have fun and play with the Cubs. It is someone who listens to the Cubs and takes into consideration all their strengths and weaknesses. Seeing people I haven’t seen in a while as well as meeting new people and sharing ideas and experiences. I’m hoping Akela 2016 is a great networking opportunity and renews everyone’s energy and sense of purpose as to why they joined the Movement. The weirdest thing I’ve eaten outdoors is snake.